Although Honolulu is one of the all-time major tourist locations in the world, there truly is more to this island city than meets the eye. Honolulu is, of course, the capitol city of the State of Hawaii, but Honolulu is also a county that encompasses some of the most amazing travel destinations in the world. 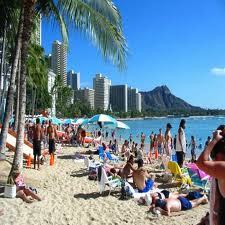 Located on the island of Oahu, Honolulu has too much to see and do in just a few days or weeks. If you are planning on a vacation in Honolulu, plan on staying at least a couple of weeks – longer if your budget allows. Once you start researching all there is to see and do, you will find that perhaps a monthly vacation rental would allow you time to get in some of what you had planned, but don’t bet on it. You will be back next year for another month, or maybe even two. One of the first things which many tourists want to see is usually the downtown Honolulu Iolani Palace which is even more famous in recent years because of the notoriety Disney Movies gave to Princess Ka’iulani. Although she was heir to the throne, she never reigned as her Aunt Liliuokalani was actually the last reigning monarch before Hawaii became a U.S. territory. What draws visitors to Iolani Palace is the fact that this is the only Royal Palace ever in existence in the United States. From there, most visitors want to participate in an authentic lu’au. One of the most famous is the Royal Lu’au which is held on the Ocean Lawn of the world famous luxury resort, The Royal Hawaiian. Whether you are staying at the resort or simply want to view an authentic lu’au which is accompanied by a feast literally fit for a king. The Royal Lu’au is held Monday through Thursdays and typically lasts from 6 to 8:30 PM. Music and entertainment is provided by the Royal Polynesian Extravaganza. On the day when you plan to attend the Royal Lu’au, make sure you arrive hours earlier so that you can get some fun in the sun in on world famous Waikiki beaches. This is one facet of Honolulu, which many of us aren’t aware of, and that is that Waikiki is actually an Oceanside neighborhood in the city of Honolulu. Perhaps you even have a vacation condo or vacation timeshare in Waikiki which makes it even more convenient to set out sightseeing in a city with so much to see and do. If it is shopping you are after, then the Aloha Tower is a must see. This is one of Honolulu’s historic landmarks, which is home to an awesome outdoor dining and shopping marketplace. For more than 40 years, this 1926 building was the tallest building in Hawaii and the clock in its tower is still one of the largest anywhere in the United States. Located close to downtown Honolulu on the Honolulu Harbor, the Aloha Tower is only about 15 to 20 minutes from Waikiki and also quite near to Honolulu’s famed Chinatown. When vacationing with the family, don’t forget to visit the Waikiki Aquarium, Sea Life Park, Atlantis Submarines or the newest attraction in Honolulu (yet again in Waikiki), Teddy Bear World Hawaii. Of course, you don’t need to bring the kids along to enjoy these fabulous attractions because each and every one of them enthralls young and old alike. Perhaps you would rather visit the Honolulu Zoo that is on 42 of the most breathtaking tropical acres or you would rather set out for nearby Pearl Harbor or the Diamond Head State Monument for a bit of history. In any event, Honolulu is so much more than meets the eye which is why most tourists actually do plan on staying more than just a week or two. Book your vacation rental well in advance to make sure you get the best deal during the time of year you plan on visiting. With one of the best climates on the face of the earth, any time of year is the perfect time to visit Honolulu, capitol of Hawaii and the beating heart of the island of Oahu.